The Lebanese Maronite Christians are believed to constitute about 25% of the total population of Lebanon. Lebanon's constitution was intended to guarantee political representation for each of the nation's ethno-religious groups. Under the terms of an unwritten agreement known as the National Pact between the various political and religious leaders of Lebanon, the president of the country must be a Maronite. The cultural and linguistic heritage of the Lebanese people is a blend of both indigenous Phoenician elements and the foreign cultures that have come to rule the land and its people over the course of thousands of years. 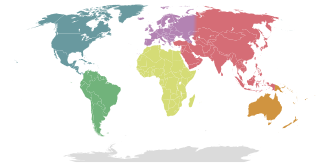 In a 2013 interview the lead investigator of the National Geographic Society's Genographic Project, Pierre Zalloua, pointed out that genetic variation preceded religious variation and divisions: "Lebanon already had well-differentiated communities with their own genetic peculiarities, but not significant differences, and religions came as layers of paint on top. There is no distinct pattern that shows that one community carries significantly more Phoenician than another." The followers of Jesus Christ first became known as "Christians" in the ancient Greek city of Antioch (Acts 11:26), and the city became a center for Christianity - especially after the destruction of Jerusalem in 70 AD. According to Catholic tradition, the first Bishop was Saint Peter before his travels to Rome. The third Bishop was the Apostolic Father Ignatius of Antioch. Antioch became one of the five original Patriarchates (the Pentarchy) after Constantine recognized Christianity. 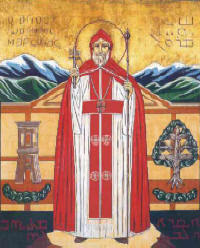 The Maronite Christianity derived its name and religious identity from Saint Maron whose followers migrated to the area of Mount Lebanon (present day Republic of Lebanon) from their previous location of residence around the area of Antioch (an ancient Greek city within present day Hatay Province, Turkey), establishing the nucleus of the Maronite Church. More specifically, Maron, a fourth-century monk and the contemporary and friend of St. John Chrysostom, left Antioch for the Orontes River to lead an ascetic life, following the traditions of Anthony the Great of the Desert and Pachomius. Many of his followers also lived a monastic lifestyle. Following the death of Maron in 410 AD, his disciples built a monastery in his memory and formed the nucleus of the Maronite Church. The Maronites held fast to the beliefs of the Council of Chalcedon in 451 AD. When the Monophysites of Antioch slew 350 monks, the Maronites sought refuge in the mountains of Lebanon. Correspondence concerning the event brought the Maronites papal and orthodox recognition, which was solidified by Pope Hormisdas (514-523 AD) on February 10, AD 518. A monastery was built around the shrine of St. Maro (Marun) after the Council of Chalcedon. The martyrdom of the Patriarch of Antioch in the first decade of the seventh century, either at the hands of Persian soldiers or local Jews, left the Maronites without a leader, a situation which continued because of the final and most devastating Byzantine–Sassanid War of 602–628. In the aftermath of the war, the Emperor Heraclius propagated a new Christological doctrine in an attempt to unify the various Christian churches of the east, who were divided over accepting the Council of Chalcedon. This doctrine, monothelitism, was meant as a compromise between supporters of Chalcedon, such as the Maronites, and opponents, such as the Jacobites. Monothelitism was actually endorsed by Pope Honorius I (625-638) of the Catholic Church to win back the Monophysites. Instead, this new doctrine caused greater controversy, and was declared a heresy at the Sixth Ecumenical Council in 680-681. Contemporary Greek and Arab sources, however, claimed that the Maronites accepted monothelitism, rejected the sixth council, and continued to maintain a belief in the largely discredited monothelete doctrine for centuries, only moving away from monothelitism in the time of the crusades in order to avoid being branded heretics by the crusaders. The modern Maronite Church, however, rejects the assertion that the Maronites were ever monothelites apart from the rest of the Catholic Church; and the question remains a major controversy to this day. In 687 AD, the Emperor Justinian II agreed to evacuate many thousand Maronites from Lebanon and settle them elsewhere. The chaos and utter depression which followed led the Maronites to elect their first Patriarch, John Maroun, that year. This, however, was seen as a usurpation by the Orthodox churches. Thus, at a time when Islam was rising on the borders of the Byzantine Empire and a united front was necessary to keep out Islamic infiltration, the Maronites were focused on a struggle to retain their independence against imperial power. This situation was mirrored in other Christian communities in the Byzantine Empire and helped facilitate the Muslim conquest of most of Eastern Christendom by the end of the century. Maronite division among main Syriac Christian groups. The Maronites belong to the Maronite Syriac Church of Antioch (a former ancient Greek city now in Hatay Province, Turkey) is an Eastern Catholic Syriac Church that had affirmed its communion with Rome since 1180 A.D., although the official view of the Church is that it had never accepted either the Monophysitic views held by their Syriac neighbours, which were condemned in the Council of Chalcedon, or the failed compromise doctrine of Monothelitism (the latter claim being found in contemporary sources). The Maronite Patriarch is traditionally seated in Bkerke, north of Beirut. Lebanese Maronite Christians are concentrated in the north Beirut, northern part of Mount Lebanon Governorate, southern part of North Governorate, parts of Beqaa Governorate and South Governorate. The last Census in Lebanon in 1932 put the numbers of Maronites at 29% of the population (227,800 of 791,700). A study done by the Central Intelligence Agency (CIA) in 1985 put the numbers of Maronites at 16% of the population (356,000 of 2,228,000). In 2012, Maronites constituted 21% of Lebanon's population, according to estimates. The Maronite church's website claims 1,062,000 members in Lebanon. ^ Lebanon - International Religious Freedom Report 2008 U.S. Department of State. Retrieved on 2013-06-13. ^ Jamie Stokes, ed. (2009). Encyclopedia of the Peoples of Africa and the Middle East. Facts On File, Incorporated: Infobase Publishing. p. 447. ISBN 978-1-4381-2676-0. ^ "Programme on Governance in the Arab Region: Elections: Lebanon". United Nations Development Programme. Archived from the original on 18 July 2011. Retrieved 25 January 2010. ^ Maroon, Habib (31 March 2013). "A geneticist with a unifying message". Nature. Retrieved 3 October 2013. ^ Mannheim, Ivan (2001). Syria & Lebanon handbook: the travel guide. Footprint Travel Guides. pp. 652–563. ISBN 978-1-900949-90-3. ^ Matti Moosa, The Maronites in History (Syracuse, N.Y.: Syracuse University Press, 1986), 195-216. ^ Moosa, M (2005). The Maronites in History. Gorgias Press LLC. pp. 209–210. ISBN 978-1-59333-182-5. ^ "Maronites". Minority Rights Group International. 2005. Archived from the original on 16 January 2015. Retrieved 28 December 2013. ^ a b c "Contemporary distribution of Lebanon's main religious groups". Central Intelligence Agency. Retrieved 15 December 2013. ^ a b "2012 Report on International Religious Freedom - Lebanon". United States Department of State. 20 May 2013. Retrieved 15 December 2013. ^ "There are 3,198,600 Maronites in the World". Maronite-heritage.com. 3 January 1994. Retrieved 13 June 2013. Wikimedia Commons has media related to Maronites. John Maron, was a Syriac monk, and the first Maronite Patriarch. He is revered as a saint by the Maronite and Roman Catholic Churches, and is commemorated on March 2. He died and was buried in Kfarhy near Batroun, in Lebanon, where a shrine is dedicated to him. The Syriac Catholic Church, also known as Syriac Catholic Patriarchate of Antioch, is an Eastern Catholic Christian Church in the Levant that uses the West Syriac Rite liturgy and has many practices and rites in common with the Syriac Orthodox Church. Being one of the twenty-three Eastern Catholic Churches, the Syriac Catholic Church has full autonomy and is a self-governed sui iuris Church while it is in full communion with the Holy See of Rome. 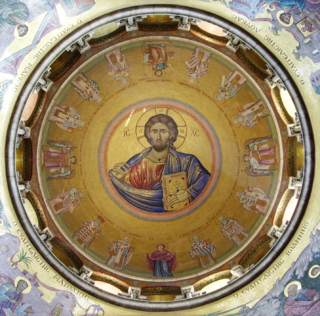 The Syriac Catholic Church traces its history to the earliest days of Christianity. 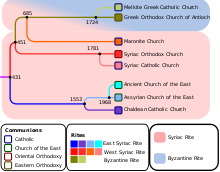 After the Calcedonian Schism the Church of Antioch became part of Oriental Orthodoxy, and was known as the Syriac Orthodox Church, while a new Antiochian Patriarchate was established to fill its place by the churches which accepted the Council of Calcedon. The Syriac Orthodox Church came into full communion with the Holy See and the modern Syriac Orthodox Church is a result of those that did not want to join the Catholic Church. Therefore the Syriac Catholic Church is the continuation of the original Church of Antioch. Maron, also called Maroun or Maro, was a 4th-century Syriac Christian hermit monk in the Taurus Mountains whose followers, after his death, founded a religious Christian movement that became known as the Syriac Maronite Church, in full communion with the Holy See and the Catholic Church. The religious community which grew from this movement are the modern Maronites. 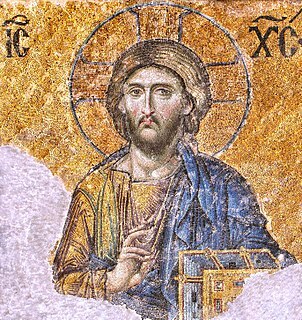 The term Melkite, also written Melchite, refers to various Christian churches of the Byzantine Rite and their members originating in the Middle East. The term comes from the common Central Semitic root-word or cognate "M-L-K" found in Syriac-Aramaic malkoyo, Hebrew: 'מלך' Melk-i or Melech-i, and Arabic: ملكي‎ Malak-ī, meaning "royal", monarchist and by extension, "imperial" or loyal to the Byzantine Emperor. The Melkites accepted the Council of Chalcedon. Originally they used Koine Greek and, to a lesser extent, Aramaic in worship, but later incorporated Arabic in parts of their liturgy. Christianity, which originated in the Middle East in the 1st century AD, is a significant minority religion of the region. Christianity in the Middle East is characterized by the diversity of its beliefs and traditions, compared to other parts of the Old World. Christians now make up approximately 5% of the Middle Eastern population, down from 20–30% in the early 20th century. Cyprus is the only Christian majority country in the Middle East, with Christians forming between 76% and 78% of the population, most of them adhering to Eastern Orthodox Christianity. Lebanon has the second highest proportion of Christians in the Middle East, ranging between 39% and 41% and predominantly consisting of Maronite Christians. Egypt has the next largest proportion of Christians, at 10–15% of its population. The Maronites are a Christian group who adhere to the Syriac Maronite Church with the largest population around Mount Lebanon in Lebanon. 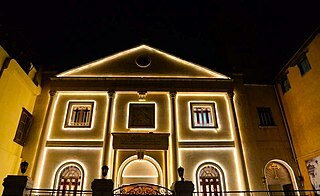 The Maronite Church is an Eastern Catholic sui iuris particular church in full communion with the Pope and the Catholic Church, with self-governance under the Code of Canons of the Eastern Churches, one of more than a dozen individual churches in full communion with the Holy See. They derive their name from the Syriac Christian saint Maron, whose followers migrated to the area of Mount Lebanon from their previous location of residence around the area of Antioch, establishing the nucleus of the Syriac Maronite Church. Some Maronites argue that they are of Mardaite ancestry, but most historians reject such claims. Maronites were able to maintain an independent status in Mount Lebanon and its coastline after the Muslim conquest of the Levant, keeping their Christian religion, and even the distinctive Aramaic language as late as the 19th century.